The Swiss franc fell on Tuesday to the Euro to the lowest level in twelve weeks. The single currency was up to 1,1444 francs, and was so expensive as most recently in early November. Already in the past few days, the Swiss franc had lost ground. Deutsche Bank currency strategist Robin Winkler sees the reason in strategic shifts of hedge funds, given the Comments by the US Central Bank increases to future interest. "you borrow cheap money and invest the money in high interest rates, currencies , such as the Turkish Lira, the Russian ruble or in Latin America. Many of these Deals are financed in Swiss francs and Yen. 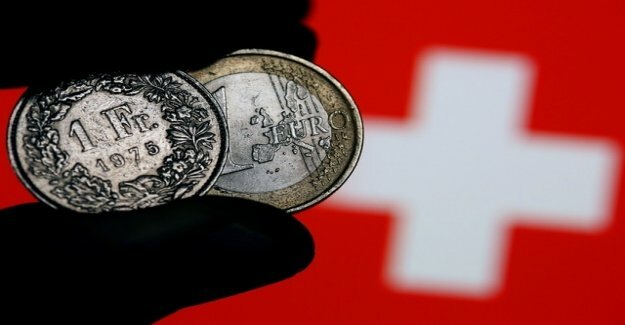 Hedge funds borrow Swiss francs to invest in high-interest currencies. The result is that Swiss francs are sold", explained Winkler. This Trend could be reversed, however, also quickly and the money back into Switzerland. in the longer term, Deutsche Bank anticipates a continued strong Swiss franc, as a study of the money house. Because many Swiss investors – including large pension insurance companies – kept their money in Switzerland and not invested abroad.